Good morning! Is it bad that I am already ready for the weekend? I just want to have more time to stamp! The card I have to share with you today is super simple. It is perfect if you just need a quick card. Just a few layers of card stock and some stamping with the For All Things set is all that is needed to make this card. 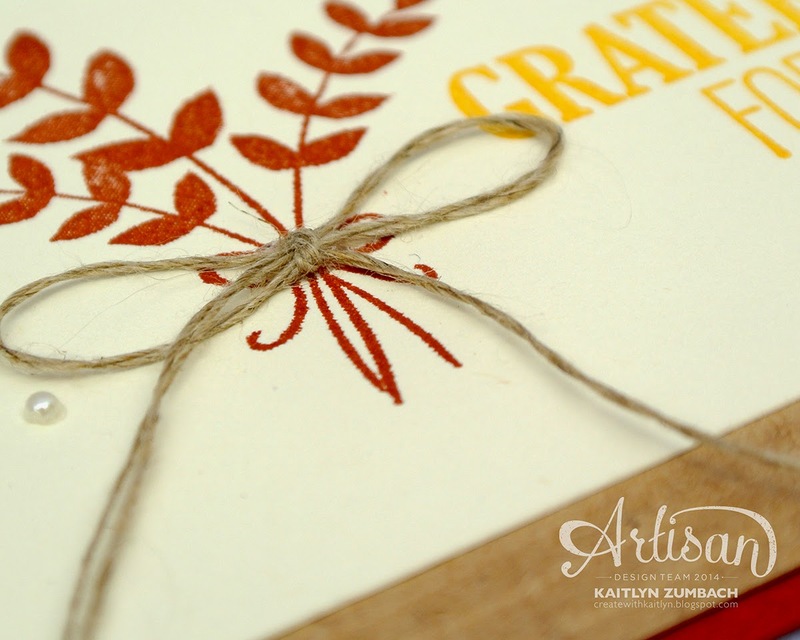 The Woodgrain Embossing Folder provides some great texture and interest for such as simple card. The Linen Thread bow and Pearls are nice simple touches that take this card from ordinary to feeling special. Remember that a card doesn't always have to be over the top to appreciated. Just that fact that you made it by hand makes it special for the recipient.